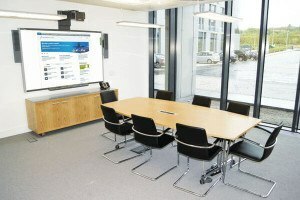 Government Networked IT and Audio Visual Solutions from the AV Design Group. Our government departments are under considerable pressure to reduce their expenses and operating costs, yet meet increasingly-high targets for performance and productivity. With swathes of the UK’s public service departments now subject to intense scrutiny and accountability, it’s time for inspired thinking. Every department within a local, regional or national centre is accountable and each has a duty of care and a responsibility to its public to maintain appropriate levels of order, security, safety and wellbeing. These obligations can only truly be met within a cohesive working environment. Audiovisual Design Group has designed a portfolio of professional audio visual schemes that encourage multi-departmental collaboration, management and validation. Our structured, sophisticated communications and presentation systems bring an affordable and highly dependable edge to governmental and public service communities which demand technologies that defy convention and make a real difference to their operations yet meet newly imposed constraints. Please contact us if you would like more information on our professional audio visual systems and IT services for your government departments by filling the form below and one of our experts will be in touch.